Come Join the EZ-Robot Revolution! The most powerful robot platform on the planet. Anyone can build a robot in about an hour! Features camera tracking and speech recognition. Control by computer, smartphones, even your voice! Join the EZ-Robot Revolution – the most powerful, easy-to-use and versatile robot platform on the planet! 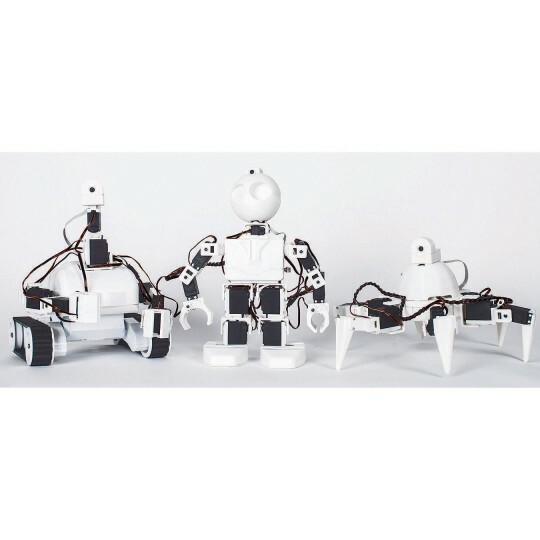 Modular design and intuitive software allow anyone to build a powerful robot in about an hour. Students as young as 4th grade can use advanced features like camera tracking and speech recognition. High schoolers can design and program real-world applications like snow shoveling robots or robotic golf carts! Control movements by computer, Wii Remote, Xbox Controller, Apple and Android Tablets and Phones, Augmented Reality Glasses, even your voice. Attach an UltraSonic or Infrared Sensor and your robot can navigate the room autonomously. The built-in camera tracks faces, motion and colors. Teach your robot to identify different objects and people, even greet them by name! Collaborate with budding roboticists around the world, 3-D print community-designed parts and download robotic apps. 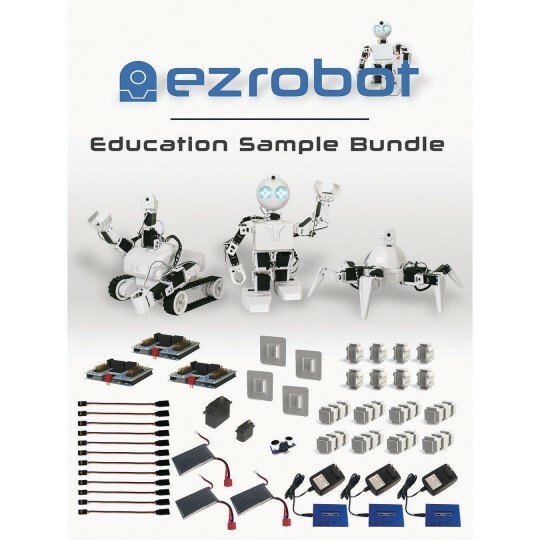 Plus, the practical skills learned with EZ-Robot directly translate into success in college and careers! 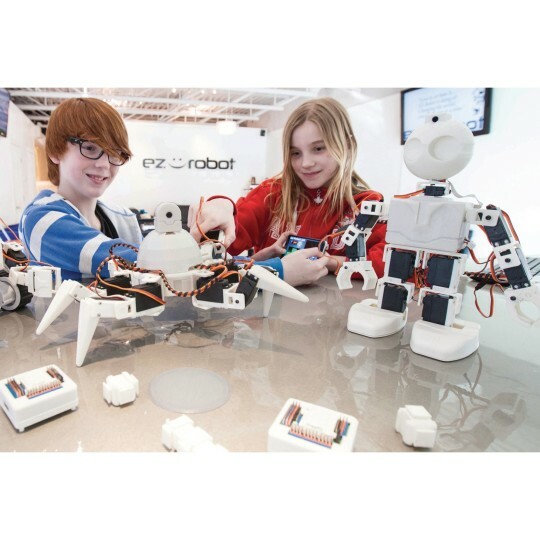 Our "Introduction to Robotics" curriculum makes robotics easy and fun! No Experience Necessary! Technical Requirements: PC computer running Windows 7 or 8; Mac computer running Windows 7 or 8 through Bootcamp, Parallels or VMWare.